An attractive set of cast iron and brass pillar scales. 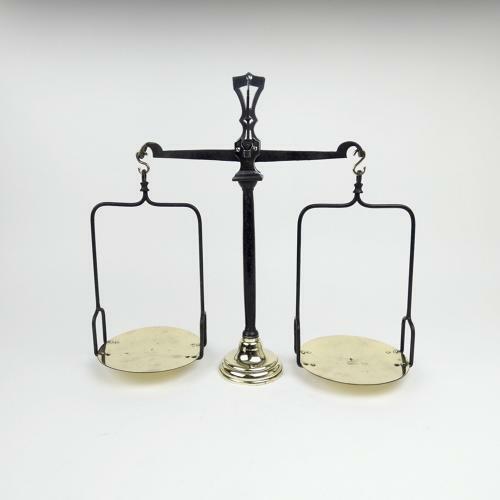 These scales have a cast iron pillar and arm, with wrought iron and brass fittings. The brass scale plates and the fitting at the top of the pillar are all marked 'F.LEGRAIN PARIS 15 R. BICHAT'. Legrain are most probably the manufacturers and the scales date from c.1870. They are in excellent condition.